For over half a century VAC AERO has been providing the very best in metallurgical services and solutions to clients around the world. Specializing in vacuum processing, VAC AERO is one of the largest subcontract aerospace heat treaters in North America. We hold numerous heat treating, brazing and quality system approvals from prime manufacturers. Vac Aero’s Maintenance Manager will be responsible for the completion of maintenance tasks using the highest level of quality, safety and effectiveness to ensure production requirements can be met. In addition to performing maintenance tasks, this position requires management and coordination of the activities of maintenance employees, contractor and vendors. 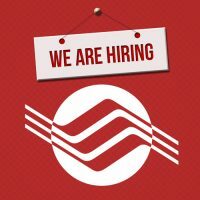 Minimum of 10 years mechanical or electrical skilled trades experience which includes management experience. *OR* Minimum 10 years mechanical or electrical skilled trades experience which includes management experience. No matter what field you study, an accurate knowledge of its vocabulary is essential to understanding the subject. In the field of vacuum heat treatment, considerable emphasis is placed on the proper use, meaning, and interpretation of certain words or phrases. A brief summary of the terminology including common processes being run is presented below. We’re excited to be exhibiting at the Furnaces North America Conference & Expo in Indianapolis, IN – October 8-10, 2018. If you plan on attending the show, please be sure to stop by our booth number 337 to learn more about our latest vacuum furnaces, and most importantly… we’re interested in learning about you, your business, and your needs. Our sales reps will be available to answer questions about how VAC AERO can help your business with exactly the vacuum processing solutions that you’re looking for! See you there! Furnaces North America is one of the largest Expos for manufacturers, commercial and captive heat treaters looking for the latest in technology, trends, and training that can energize their productivity and profits. The FNA creates an exciting mix of education, technology, networking and exposition opportunities. Join the innovators and decision makers in the heat treating industry from around the world. You can’t afford to miss the FNA Conference and Expo! Processes that can be done better in vacuum from a surface finish perspective. 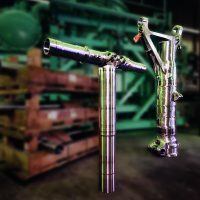 All of the common (and several uncommon) heat treatment processes can be run in vacuum, from annealing and brazing to sintering and tempering. Many companies that currently outsource vacuum heat-treating ask themselves if they would be better served by setting up this capability in-house. Others who already have an in-house heat treat department wonder if switching to vacuum processing will offer them a competitive edge. This article will help address these questions. Vacuum furnaces are typically characterized by their method of loading, horizontal or vertical, as well as if there is internal load movement, being classified as either batch or continuous (i.e. multi-chamber) types (Fig. 1 – 2). The various furnaces sizes, production capabilities, and feature configurations are almost endless and detailed extensively elsewhere , . Since most vacuum furnaces have a life expectancy of 40 – 50 years, decisions as to what to purchase, and from whom, become very important. 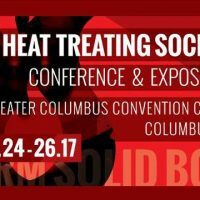 We’re excited to be exhibiting at the ASM Heat Treating Society Conference & Expo in Columbus, OH, Oct. 24-26. We’re interested in knowing more about your business and your needs, so please stop by our booth to learn more about our latest vacuum furnace products and services. Our sales reps will be available to answer any questions about how VAC AERO can help your business with the right custom vacuum processing solutions you’re looking for. See you there!